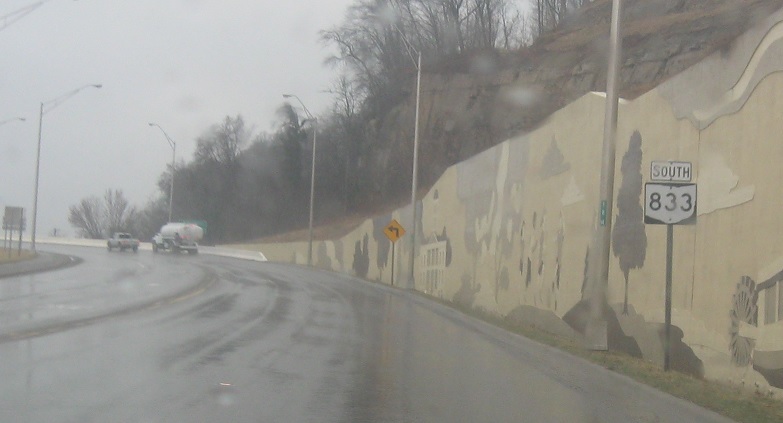 Reassurance shield as 833 splits onto old US-33/OH-7. It still carries the emergency detour for SR 7. 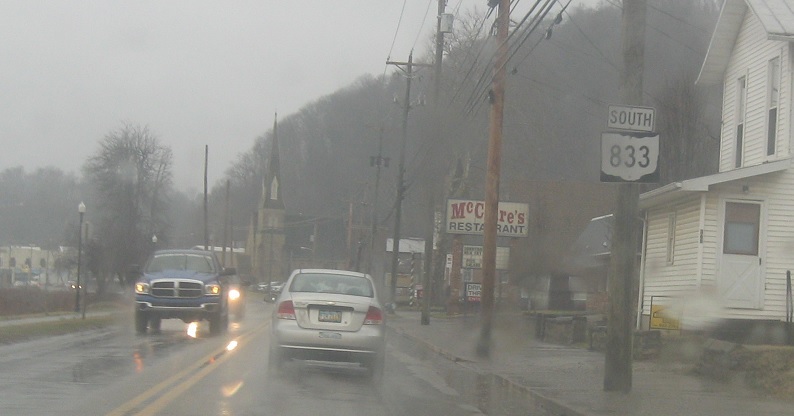 Reassurance shield as we enter downtown Pomeroy. Reassurance shield on the west side of downtown as we prepare to cross into Wild, Wonderful West Virginia. 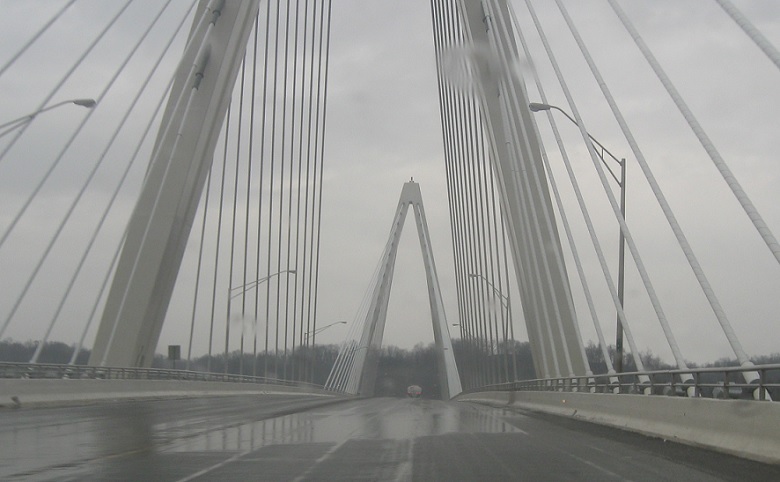 SR 833 ends here as we cross the Ohio River into West Virginia. 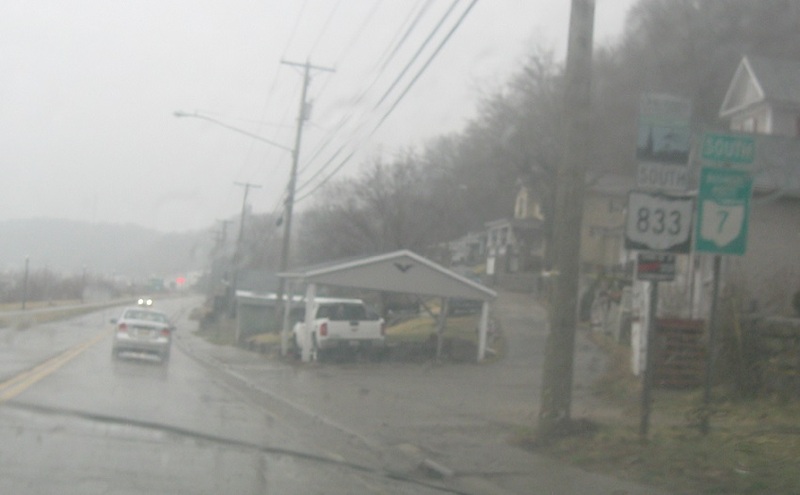 This road, former US-33, turns into a spur to West Virginia 62, which we’ll intersect on the other side of the river.